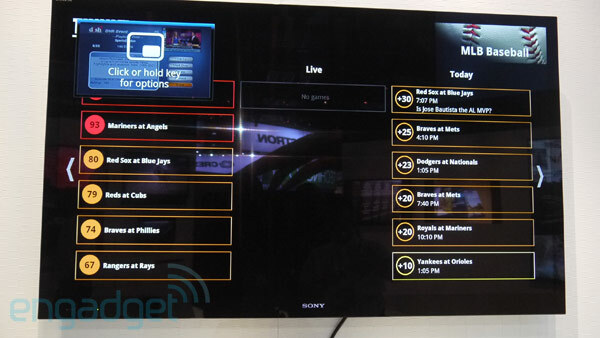 In the Sony booth at CEDIA, there is a Blu-ray Google TV box that is up and running Honeycomb in case any of you are in the area and want to get some hands-on time. The upgrade is expected to be out some time soon as a way to revive the struggling platform. We aren’t sure if the Logitech Revue or this Sony unit will receive the update first, but the folks at Logitec are expecting it to arrive by the end of September. If you want to get a quick glimpse at the brand new OS that appears to make Google TV worth using again, jump into the video below. And afterwards, make a decision on whether or not you should go pick up a Logitech Revue for $99 – yeah, they are still available.